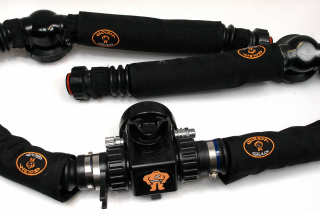 Loop hose covers for rebreathers with T-pieces and over the shoulder counterlungs (Meg, Inspiration, Optima, Prism) . Made of Cordura with velcro fastener for easy removal. Protect and insulate your hoses.